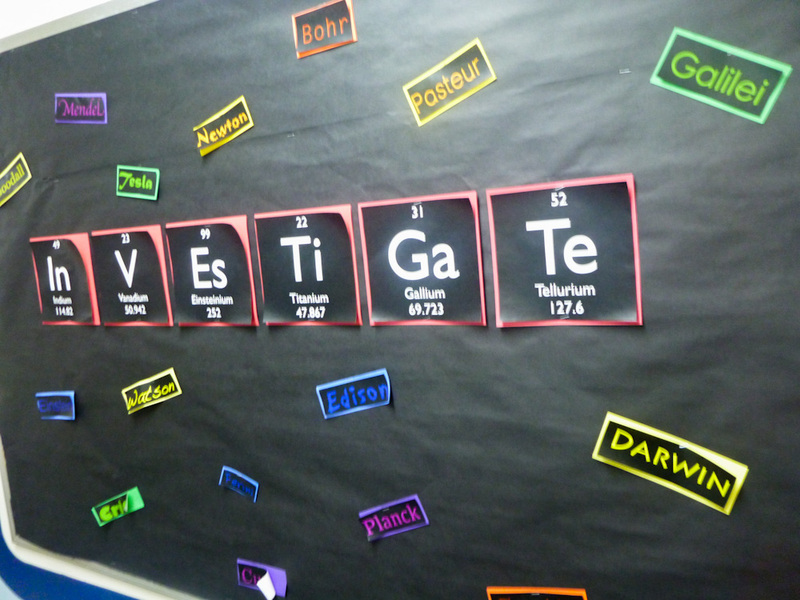 Several years ago one of the teachers at our Seventh-day Adventist elementary school in Kirkland had some fun using symbols from the table of elements to spell out important words on a hallway bulletin board—in this case, “Investigate.” And all around those element-pieces you can see the names of scientific investigators who, in many cases, improved our lives because of their careful study. However—and this is really key—we must carefully investigate the investigators. Each of the names you see above refused to trust the supposed scientific facts of their time, and instead did further study, which is why their names became famous too. Charles Darwin did this too, but just because he came up with new conclusions, we can’t afford to humbly bow our heads in reverence. Instead, we need to investigate him, too. Not a lot of scientists these days are willing to do this, at least in public. So don’t stop investigating! God gave us minds and expects us to use them!